A month after declaring he will run for the presidency, Ahmed Shafiq backs down, says he's "not the best person" for the job. 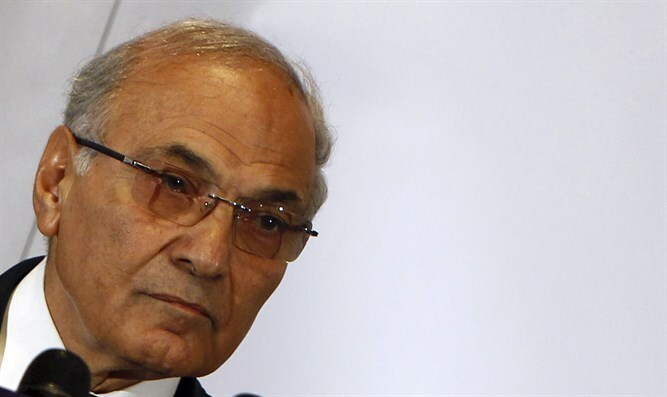 Former Egyptian Prime Minister Ahmed Shafiq announced on Sunday he will not stand in the 2018 presidential elections, reported AFP. "I have decided to not run in the upcoming 2018 presidential elections," Shafiq said in a statement posted online. "I saw that I will not be the best person," he added. In late November, Shafiq announced he would be running for president. At the time, he was in the United Arab Emirates, where he had gone after losing the 2012 election to former Islamist President Mohammed Morsi. The UAE later deported Shafiq, who was the last prime minister to serve under former president Hosni Mubarak shortly before his overthrow in 2011. Shafiq was seen as a main challenger for the incumbent Abdel Fattah Al-Sisi, who is expected to cruise to a new term despite not yet officially announcing his candidacy. Sisi’s supporters recently collected more than 12 million signatures from people urging him to run for another four-year term. In his withdrawal statement on Sunday, Shafiq appeared to have dramatically changed his tune on the situation in Egypt since his initial pledge to stand, noted AFP. Being out of the country in exile "may have kept me away from carefully following updates in the homeland, of progress and accomplishments," he claimed.